This second edition of Othello has a new, illustrated introduction by leading American scholar Ayanna Thompson, which addresses such key issues as race, religion and gender, as well as looking at ways in which the play has been adapted in more recent times. Othello is one of Shakespeare’s great tragedies-written in the same five-year period as Hamlet, King Lear, and Macbeth. 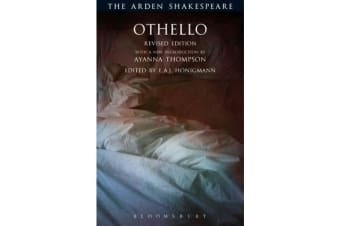 The new introduction attends to the play’s different meanings throughout history, while articulating the historical context in which Othello was created, paying particular attention to Shakespeare’s source materials and the evidence about early modern constructions of racial and religious difference. It also explores the life of the play in different historical moments, demonstrating how meanings and performances develop, accrue, and metamorphose over time. The volume provides a rich and current resource, making this best-selling play edition ideal for today’s students at advanced school and undergraduate level.